“And every day, the world will drag you by the hand, yelling ..
“I love to cook .. and wouldn't it be fun to share some of my favorite recipes? It'll really be no big deal. I'll snap a couple of photos while I'm cooking dinner .. write a few lines about life's happenings .. or things I'm thinking about .. and create an online cookbook/diary of sorts. For those that have walked this path .. you'll certainly understand. Once you've given birth to this kind of project .. it will become a deeply personal experience. For three and a half years I continued along. So I put my first toe into the world of blog marketing .. and quickly learned it's all good. That is ..
A fellow blogger .. and lover of all things parenting. The words of his post .. as well as all of us who commented .. haven't been far from my mind. A beautiful reminder .. When you think you're alone .. that you're the only one who's ever felt this way .. you're not. This group of incredibly talented people .. who echoed his thoughts and offered heartfelt words of encouragement. All of us having felt the same way .. at one time or another. Admittedly .. the past nine months have been a marketing blur. Am I in the right state of mind to receive good news .. bad news (or anything in between)? Is this a good time for me to exercise self-control as I wade through the correspondence waiting in my inbox? Will I have enough time today to finish this marketing thread and truly do it justice? 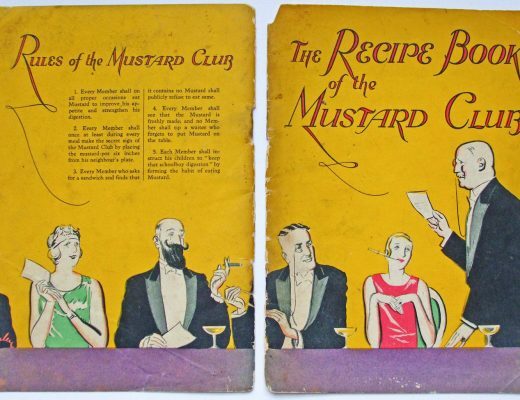 Is this week a good one for re-shooting a couple of recipes from the archives? Is this a good time to respond to an unfortunate comment with grace and curiosity? Is this a good time for me to react to what is required of me in a way that reflects my character and judgment? I have been doing the same thing with my blog. It’s not a dedicated food blog, but I do a lot of recipes. I am horrified at the pictures I took of food 6 or 7 years ago so I have been trying to update. I took a long, hard look at my food/party blog at the beginning of this year and I realized I had way too much on my plate. I learned to say no, cut some things off and decided to be in the moment more. 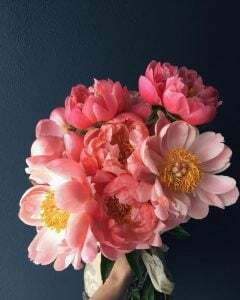 I still have those days where I need to do several photo shoots, create a couple of new recipes and face a mound of dishes in one afternoon, but I am learning to work smarter, not harder. And the pasta looks amazing! As a new blogger on a whirlwind journey I haven’t had a spare minute to network and I really would love to, it’s going up on my list now after reading this. And by the way this recipe, as always, yum! This looks absolutely delicious! I love almost any type of pasta! I am the same there is something absolutely amazing about pasta! I really need to put more effort into my blog I don’t want it as a career but I feel like I just plod along, life gets in the way. When it comes to photographs I have nothing else other than my phone but then I’m really not a fan of the perfect polished pictures and the pristine content for me it never feels real. It feels like I’m just flicking through a glossy mag that has been written a certain way just to please as many people as possible. I love your perspective on the photography piece, Jade. I couldn’t agree more .. I am honored to be here in your post and that something I said resonated with you. I am still trying to work it all out but I know I love the writing. And this is still an amazing thing and beautiful part of who I am. So I am not at the end. Just needing a refresh. Your posts always make me smile. 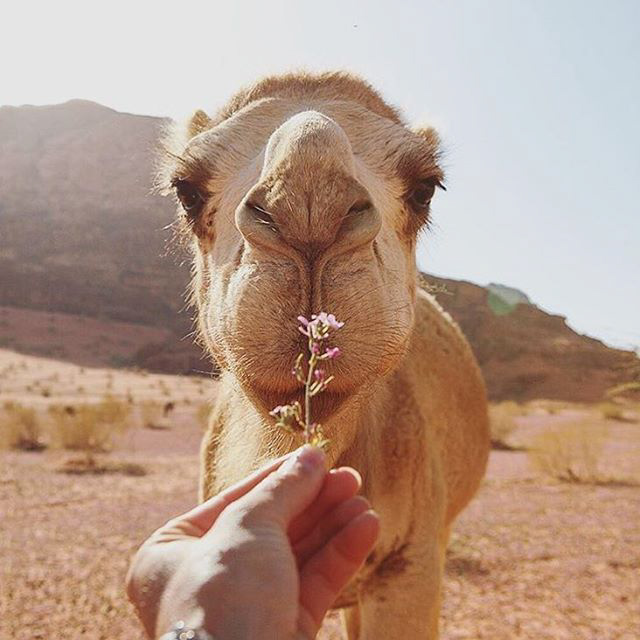 And the picture of the camel is an awesome touch here. I do have to say that it’s strange to live in a world where we have these massive information centers in our phones and one note sent to us from them can make your day go down the tubes. And then once that happens that somehow our friends around us cannot cheer us up saddens me. Our friends should be out most important things. Finally, I have to say I love the recipe. I always love a good summer squash and I am going to have to try this out. That and some good pasta sounds amazing. I love the idea of – is this a good time? It is so respectful and thoughtful of others. I hit a hard wall on blogging in the beginning of this year and have been on a rollercoaster of emotions and motivations. My Dad has been sick and I have been reflecting on his hard work and lack of family interaction. I most of all want to be present for my family and work on being healthy for them as an example for them. Hard work is wonderful, but a balanced life is better and a good example set for my daughter. Being someone who has spent the last decade (or longer) working in Digital Marketing, from SEO to PPC to Social, I know exactly what it is like to have it interrupt your life. In fact, it takes up almost all of my day… From when I wake up at 6:00 and check on my blog’s Social profiles and rankings, to spending all of my working hours doing the same for clients, to then going home and spending the evening checking them again… It really can take over your life! Pasta is one of my favourite things to eat! I love how diverse it is. You can make so many meals with it and I’ll definitely be having a go at this recipe. My husband is always leery of trying pasta dishes that are not tomato based, but I am going to make him try this one! The combination of the squash and basil flavors sounds delicious. 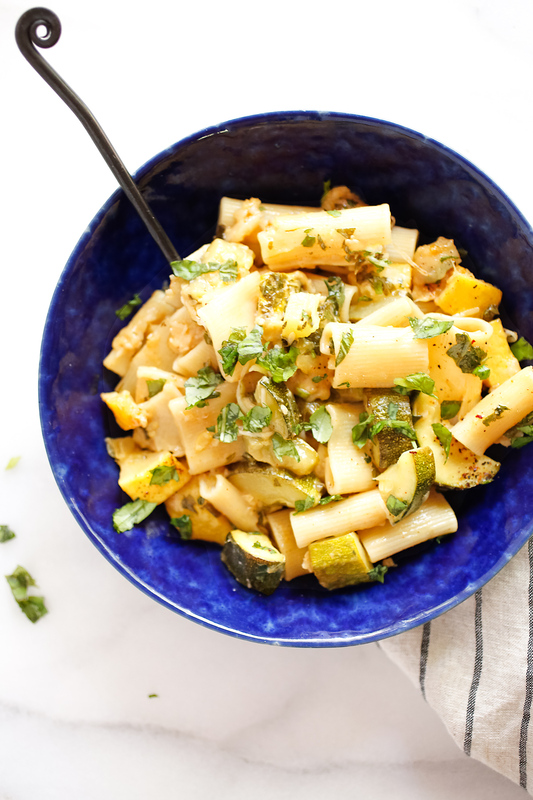 I love how you incorporate a summer vegetable staple into this classic pasta. Oh the secret life of a blogger. I always have those same questions running through my head and always wonder the if it’s the right time for anything when it comes to my blog. Find balance and you will get there. That recipe looks delicious though, I love summer squashes! As someone who just got into networking with other bloggers, the blogging world is such a whirlwind. I have to always ask myself the same thing about if it is a good time to do comments for blog posts. I set time aside in my day so that other things don’t get interrupted like time with my kids (the reason why I blog). I understand life being interrupted unintentionally. This recipe looks delicious. I love summer squash! Aww really liked how you put this post together. I really need to get a job done first, then look on Facebook!! Delicious looking photos, as usual. I am starving! I always get inspired from reading about other bloggers’ experiences with monetizing blogs. It sure isn’t easy. And I admire those that can actually make a full time living from it. It can be so easy to get sucked into blogging and the internet. It can take away from what is going on in real life around us. And here is some of the proof that blogging can end up being a full time job, and then some. For me, working mostly for someone else, I have to make sure I have things done on time, and in good order; but I also need to do the same for my family life too. So there are times when it may be good to get finished off, but if my five year old is asking to read a book, I need to remind myself that now is not a good time to stare at a screen. It is all about balance. Every time I visit your posts, I wonder what unique recipe you’re going to post. 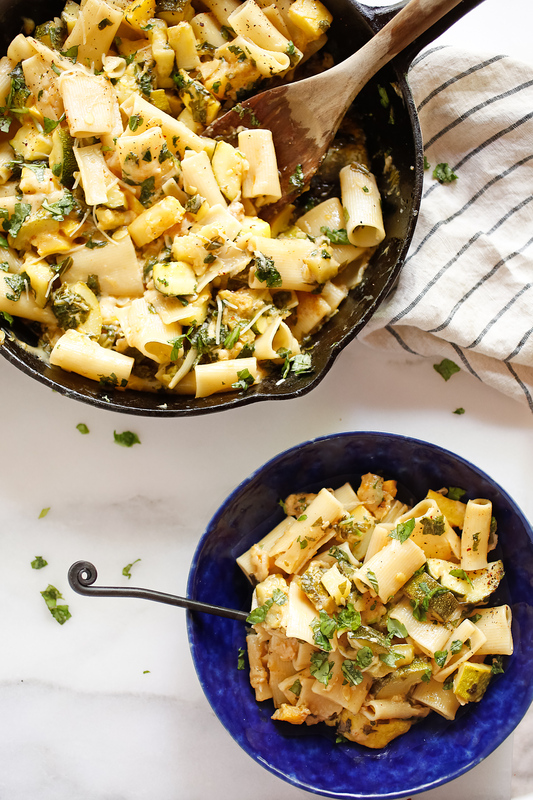 Your summer squash and lemony basil pasta definitely didn’t disappoint! I’m not a fan of summer squash by itself; but, when added into a recipe, I’m definitely intrigued by how it will taste! I have been in a transition period with my blog. Finding balance I find is the hardest. That being said, my husband would be in heaven if I made him this pasta dish for dinner. Lemon and basil are his two favorite flavors! That pasta looks so delicious!! One of my favorite plates are pasta, so reading this made me feel happy! I think garlic really brings up the flavor, and I also always top with basil. I don’t usually put lemon juice, maybe I should try it next time I cook. I never seem to have enough to time stop and do much networking, there always seems to be something else that needs doing or sorting. I love enjoying summer squash during this time of year. It’s so abundant and the prices at the store are always great at this time of year. I love the way you prepared this pasta dish. Blogging is hard work and so time consuming, but it definitely pays off when you can make a full time living from it. I spend far too much time procrastinating when I should be blogging, I “network” in that I nosy on facebook or natter on twitter, I need to try and get the balance straight! Blogging really is like giving birth to another child! You nailed it on the head for sure. When we’re passionate about our work, we will put in all the hours needed to make it the best it can be. But then other things start to fall. Balls drop. We’re compromising sleep and eventually family time. I started blogging in 2008. For a few years now it has been a full-time income. Sometimes I wonder at what expense? We soon realize it is more than just writing content. Content is the easy part. All of the business elements add up and can be overwhelming and can take the love right out of what we’re doing. And this is why I always tell someone who wants to start a blog this advice: if you want to start a blog, it needs to be a topic you can passionately write about every day for free. Because the money may never come. The growth may take longer than you hoped and the tireless work may be more than you bargained for. That said, blogging has allowed me to influence others, be home wth my children and provide a full-time income to my family. We just have to blog smart and not hard. This post really spoke to me. I ventured into this blog world almost 10 years ago, I never knew that it would lead to this. And after 5 years of making money from the blog I decided to jump into full time blogging. I quit my job – i knew the day job and blogging was too much. I was finding myself forgetting to spend time with my family. Not good. So yes, we have to keep it balanced! I always ask if now is a good time when I call someone. I think it is a good habit to get into. Squash is one of my favorites and I am always looking for new recipes to try with it. You do such a great job with your blogging, your recipes and your pictures. You are an inspiration for anyone that want to start a food blog. And your recipe for today? Well, you had me at squash. It looks delicious, but coming from you, that is expected. I am at the point now where I feel like I spend all of my time on social media and not enough on my blog! I definitely need a VA to help me out, but I’m scared to spend the money. I’m a widowed mom and both kids are in college. It’s like you pinch pennies until they scream and it still is tough. It’s just been frustrating lately. Thanks for your perspective. I appreciate your stories a lot. Oh the joys of blogging. I remember buying this house and making sure the lighting was good. I had to have perfect window placement and under cabinet lighting in the kitchens. Ha! I definitely have to start using the “is this a good time?” method. Sometimes we get so caught up in what we HAVE to do, we neglect the things we “WANT” to do. It’s okay to give ourselves a break. This pasta dish looks amazing and I can easily make it vegan friendly which makes me love it even more. This is a must this summer! Carry on my fellow soldier .. I love my skillet, perfect for searing meats and cooking pasta too! Summer squash is my one of my fave veggies. I never really thought about it before but the question is this a good time really is out of consideration. As far as the pasta goes, my sister-in-law loves squash and I bet she’d enjoy this. I’ve considered updating the old photos but in the end, I decided against it… they show my journey to my current photography knowledge and I simply can’t spare the time for it… it’s so hard to find the time for all the things we want to do. I once interviewed pinchofyum’s Lindsay and she said the same thing. She rarely updates older posts because they show where she was at that moment of life. What they were eating, where she was with her blog and photography. A great perspective .. I took some elements from both recipes in making a farro with sauteed yellow squash, zucchini and onion dish with lemon juice and almond slivers. I simmered the farro in half vegetable broth half water until liquid was gone while cooking veggies diced per recipe 2 on a stove-top with the seasonings per recipe 1. I didn’t have any red peppers on hand but that sweetness would’ve been a great addition. Once everything was cooked to my liking, I added them together with some lemon juice and raw almond slivers. I came into the blogging world by just helping a friend out. This is been an amazing experience for me and hopefully I will be able to start my own blog soon. So many people share the same feeling and thoughts as others and it really is like a therapy for many. Meeting up with friends that love the same things you do is something everyone should do at least once a month over a bunch maybe. This recipe I will have to make for my family who I know will love it. Thanks for sharing your thoughts and the recipe. 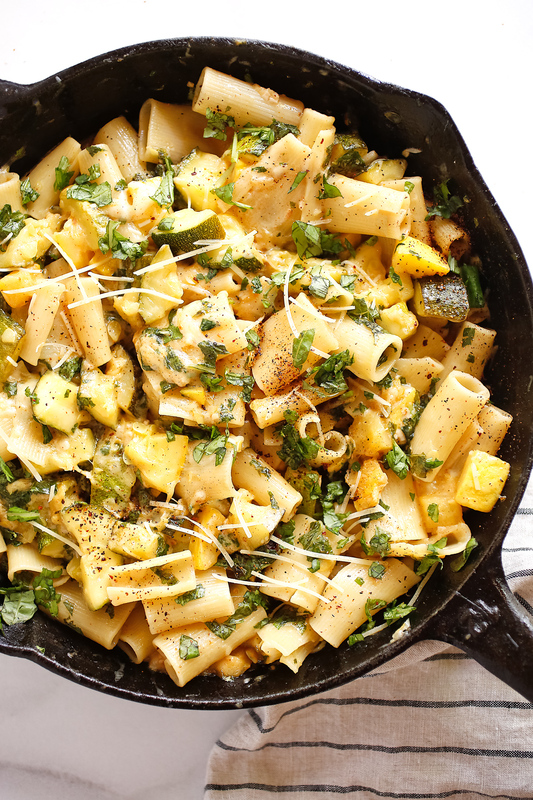 Wow, I have never incorporated squash into a pasta dish yet, this looks delicious. I would love to try this recipe for my kids. I too feel sometimes that I don’t have enough time to complete everything. The pressure of creating content, editing pictures, social media promotions on time is really a herculean task. But glad that we have people and bloggers community to motivate and support each other. 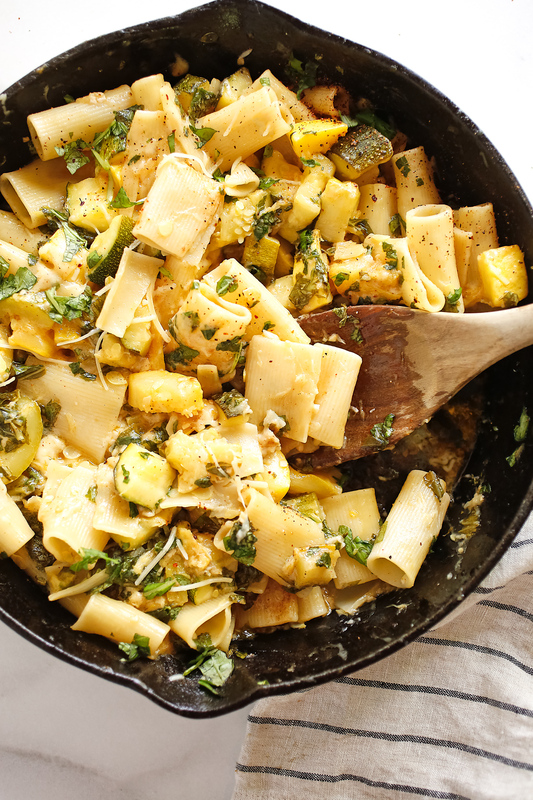 This Summer Squash and Lemony Basil Pasta is another ultimate recipe from your bucket. It looks perfect for Independence Day weekend! What a wonderful perspective, Hal. Thank-you for offering a different filter to see it through .. When I was younger I was not a squash fan. Funny as an adult your taste bud mature and its great. I pinned this because I love all the ingredients in this dish and would recreate this! I know exactly what you mean! I find myself with 15 minutes spare and start to reply to comments on my blog, or IG etc and before I know it 3 hours has passed. I know I have to put in the effort to get my blog written and out there, but it takes up so much of my time. I got a new puppy this week and his needs are more important so I have stopped spending that extra time on social media…. and the world hasn’t ended yet!! Theodore the Chow is a million shades of cuteness! Sending lots of good vibes as you wind your way through the puppy stage ? My husband used to be obsessed with pesto. None of the rest of us liked it near as much as he did. This sounds delish! I love the idea of checking with yourself to ask “is this a good time?” before checking phone notifications and social media updates. We are so tied to our devices and many times we are better off just enjoying the moments we have in-person. 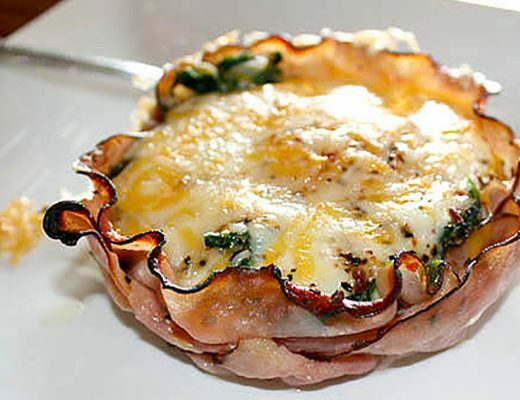 On another note, this recipe looks delicious! I definitely have to try this out. My family and I are obsessed with pasta but I try to lighten it up more in the summer. Sounds like the lemon and basil are the perfect way to do that! im not a big fan of squash but i would omit it and replace it with more courgettes. i need to start making meals like these as what I’m cooking at the moment is a bit too heavy for this weather! I used to be a professional cook, so I’ll come up with an idea. I am all about finding food(s) to try given that I am expecting. My tummy is super sensitive and acidic too. I used to love all things pasta but have been having a hard time. I know for sure I will try this because of the ingredients. I am all about trying and it sure looks really good. Asking myself if I’m in the right state of mind to receive good/bad news is really important for me. If I’m in the middle of enjoying something and bad news can make or break my mood, I’d rather just wait to know. I have had my phone ruin many occasions. Once it ruined my entire vacation. Next time I will think about looking at my phone. Now that’s what I call a guilt-free meal and something I can eat without feeling bad afterword. That looks like a delicious dish. Perfect for this weather and the summer months. Plusit’s something I can make for the whole family- including toddler who loves anything pasta related! 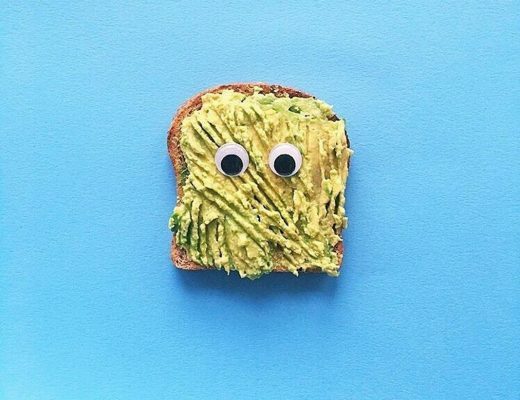 It’s true, when we are distracted or when we are little disturb, we can’t focus to our work and by the way basil pasta looks yummy, I would love to taste it …. I had a newfound respect for bloggers once I started my own blog. So much more work goes into blogging than I previously thought! I agree that networking with others bloggers is a great way to connect and learn more about being an effective blogger. Your hard work is paying off though…you have amazing pictures, interesting content, and recipes that look so good that I can almost smell them cooking in my kitchen just by thinking about it. So relatable. I started my food blog a bit over 3 years ago. It was more of a joke to keep in touch with people and to show what I was eating since going vegan. “So you eat salads now and what else?”… I am still laughing at those comments. Ever since I went through phases of not blogging for a few months, then a few recipes here and there, then feeling in adequate. Looking back at old pictures, actually feeling embarrassed…the whole thing. Blogging really is a highly personal experience and you have to fully embrace it. I will take one thing with me from your post and it’s “Is this a good time?” So simple and so profound. It is up there with another sentence that stuck with me this year and it’s “This doesn’t work for me.” Simple but so vital. Seeing when something is not working and just letting go. Love this post through and through. But now to the actual recipe. Oh my god I love pasta. I will sub the Parmesan for nutritional yeast and give this one a go. Basil is by far my favourite herb and all I ever seem to do with it is throw it in my soup or spag bol. This sounds delicious and I’m definitely going to give it a go. Perfect way to use up all the basil I have. I’m experiencing something like this right now and it’s hard. I feel like I put a lot of myself into my blog with little return. Your work is amazing though and I absolutely love the photos you did on that pasta, looks delicious. I could not agree with this post more if I tried. After over seven years in the industry, I can honestly say the world of digital marketing is both a blessing and a curse. The best advice I can offer is to find your own balance, while remembering that the world will not crumble if you choose to set aside an hour, a day, or even an entire week, for yourself. I think for a lot of people, blogging starts out as a hobby, becomes something to make money out of, then turns into a chore. I think it’s about striking that balance, and remembering why you loved it in the first place. i have not had bail in a meal in anyway, but this makes it worthy of a spot in my meal anytime from now. blogging for me is fun and passion so thats a good mix for me. will i have this meal here ? Yes… will i keep blogging for the positive? yes i will. My family likes summer squash (or zucchini). I am not so sure about the lemon pesto though. I would be willing to give the dish a try. I am totally guilty of this too, I have hired two VAs to help me manage my websites because it is time consuming and can truly take away from your normal life if you allow it. It’s a force of habit for me now to check my phones even though I have muted all my notifications. I can relate to this post SO much! I often pick up my phone to complete some work on Instagram and before you know it I’ve checked notifications on Facebook which leads me to the computer and so forth and so forth. I think it is important to ask ourselves whether it is a good time or not. 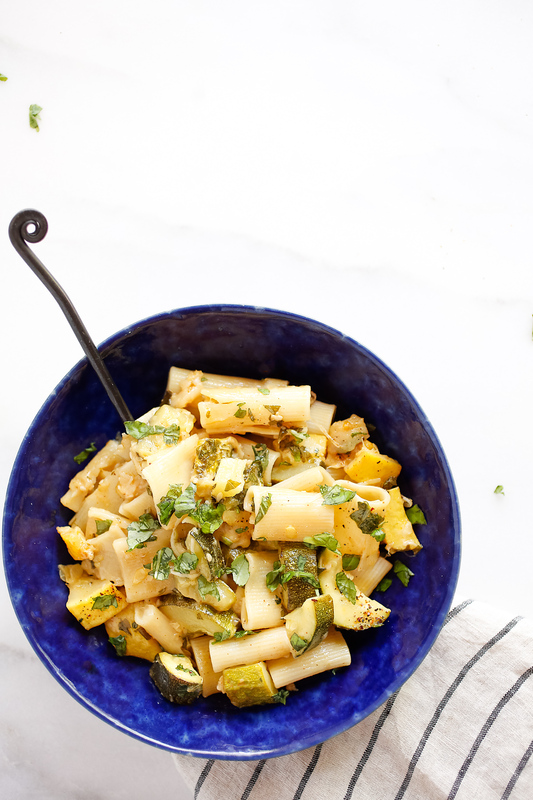 I am going to need to keep this recipe handy because I am about to have a TON of squash!! I always get sick of it at some point! Same here!!! I need a time out. 🙂 by the way that food looks yummy. I love squash and enjoy growing it in my garden. Since we have so much of it during the summer, I am always looking for new recipes to try. I haven’t paired it with pasta like this before. I can’t wait to try it! 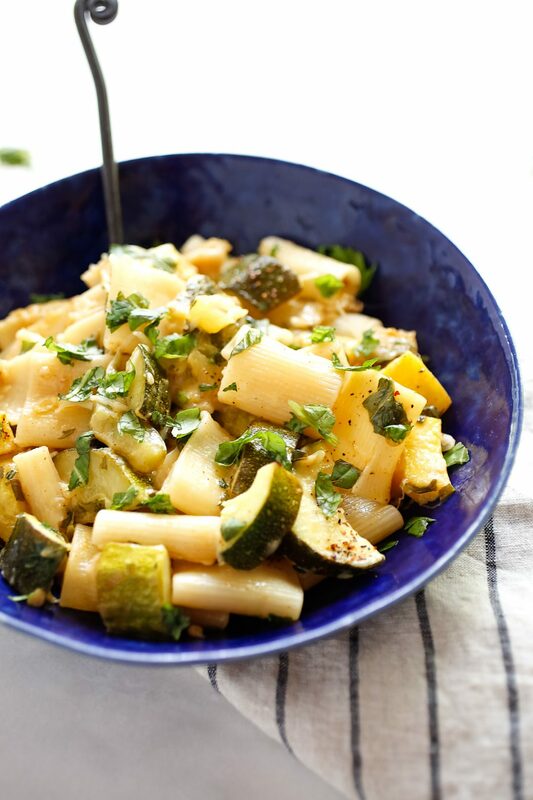 We love eating squash in the summer but haven’t had it in a pasta before. This looks delicious. We will have to make it as soon as our squash is ready. I can relate to this post – I struggle to squeeze in my blog with work and then spending time with my husband and I can imagine a food blog is even more time consuming with the recipes and the food photography. You do a great job though and I love the look of your images and this recipe. Oh god, I never think ‘is this a good time’ before checking my messages out in public! I definitely need to start being more aware of things like this I think. I mean, it sounds as though your friend went from being happy to sad within a few seconds, bringing everyone’s mood down. I hope everything worked out for her in the end. I need to work on my photography more, I know mine could be much better but I’m not sure where to start. It takes ages to get the right photo with the right lighting etc. I can relate to this post so much as I too have so many blogging and work-related tasks pulling my focus and demanding my time. I like the idea of asking yourself “Is this a good time?” I’m going to try and do that before I check my email and social media messages. I love the idea of asking yourself if now is a good time! It’s a courtesy we often extend to others and rarely to ourselves. That’s definitely something I’ll have to incorporate into my own life a little bit more! Blogging can definitely be distracting. I often spend more time working on it than I should. I get sucked into writing or social media or reading something new. I do love it though! I think it’s amazing that you decided to start sharing recipes and become a food blogger. It will definitely allow you to learn more skills and push you to strive for improvement. There will always be issues though, with the people that you deal with, with blogging in general, but we push ourselves to overcome them! Lovely recipe! I can totally relate to all of it! I will say though that I’m always going to be a multitasker. It’s just the way I’m most comfortable working. My blog is definitely a passion project… but it’s a fine line between that and All-Consuming Monster. Your words hit pretty close to home for me! It’s tough to find a balance. As for the recipe… this looks so bright and fresh – perfect dinner for a hot summer’s night. LOVE lemon in a dinner dish. The world of blogging is a funny old thing, along with its numerous platforms. But once mastered and kep up to date with all the editing programs you finally find your way. What a clever idea of making your own Aleppo pepper! I have to try that next time. I have recently started eating goat cheese again, so, I am psyched to try your pasta recipe using that cheese. You did a great job of adapting it. Oh wow another great recipe of yours! I actually just bought some squash and a pasta dish would be a great way to use it. Thanks!!! I hope your friend found a new buyer for her house quickly. There is nothing worse than a message like that! Is this a good time is a great motto to live life by…and one I should try more often. I am not a food blogger but do have some recipes on my blog and keep on struggling with pictures. The food photography you do is amazing, you are an inspiration for new bloggers like us. The recipe looks so easy to make and delicious at the same time. Will try, thanks for sharing! This looks exciting vegetarian Pasta. Aleppo styled pepper sounds interesting as I have never used this ingredient. I suppose it more hot than other peppers. I loved the photographs and that too pasta served in blue bowl which looks more tempting.